For many of you reading this you’ll no doubt remember a time when the threat of an all out nuclear war between the United States and her enemies was something you spent a decent amount of time worrying about. Schools dedicated a significant portion of teaching students exactly what to do if a nuclear attack was aimed at the United States. It’s been several decades since schools educated children on the steps necessary to survive a nuclear blast. Instead they’re trained on how to survive an active shooter situation (which is equally scary and horrifying). However, even though schools have taken their foot off the gas when it comes to getting children ready for a nuclear strike that doesn’t mean the threat isn’t real. and Al-Qaeda are doing everything they can to get a nuclear bomb. Which obviously leaves Americans in grave danger. So what can you do about this? How can you prepare for the damaging effects of nuclear radiation? The good news is there are a few simple steps you can take and a few inexpensive items you can buy that’ll help you out in the event of a nuclear disaster. See them all in the section below. The true risks of radiation poisoning aren’t just for people who are within a few miles of the blast zone. Nuclear fallout can travel hundreds of miles from the point of origination (in the wind, or in the water), meaning you’re still at risk even if a bomb goes off in the state next to you. 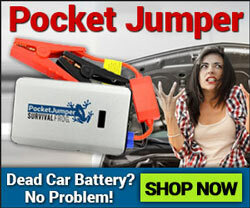 For this reason it’s important to stock up on items that’ll help shield you from this fallout. We know from the study of radiation treatment for cancer there are certain vitamins, minerals, and supplements which are quite helpful at protecting cells from radiation poisoning. Essentially taking high doses of these nutrients during radiation treatment has been shown to protect cells located in the radiation treatment zone. Be aware of this though. Taking the following supplements isn’t 100% protective like a radiation suit, or a blast shelter. However they’re still quite helpful and would be great to keep on hand so you can use them to shield your cells from dangerous radiation. Remember this too. Any one of the supplements recommended should be taken immediately after a nuclear disaster and should continue to be taken until you’re well out of the way of potential radiation. Vitamin C is considered to be one of the strongest antioxidants in the world. This is important because antioxidants help protect your cells from DNA damage presented by free-radicals (which form after radiation poisoning). Shortly after the Fukushima nuclear disaster there were several studies conducted on the emergency workers who took Vitamin C to help out with the emergency efforts. Researchers discovered those who took high doses of Vitamin C beforehand had lower rates of DNA damage and blood disorders than those who waited until after exposure. Vitamin E is also another known antioxidant. A few studies have led researchers to believe Vitamin E combined with a certain drug (called Pentoxil) is effective at reversing damage caused by radiation damage. If you don’t have access to Pentoxil it still makes sense to take Vitamin E.
Cancer research centers often advise radiation treatment recipients not to take Vitamin E because it shields cells from the radiation. Thus it stands to reason high doses of Vitamin E in a nuclear disaster could be quite helpful at protecting your cells. Over the past few years you’ve probably heard on several occasions you should be getting more probiotics in your diet. Probiotics are the healthy bacteria in your gut which aid in proper digestion. They also work to fight off the overgrowth of bad bacteria which can lead to serious health problems down the road. 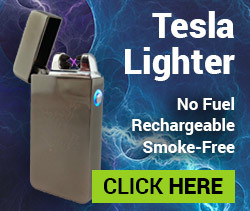 So why do you need it to fight radiation poisoning? If you’ve been exposed to radiation you can assume the healthy bacteria in your gut have been damaged. They’re quite susceptible to outside forces like radiation. And while they won’t protect your cells directly (like Vitamin C and Vitamin E) if you take probiotics it’ll promote health all over your body as they work to restore the sensitive gut bacteria necessary for optimal health. Many of the natural herbs sold as supplements are actually powerful antioxidants. Those familiar with radiation treatment will tell you doctors often advise patients to avoid consuming antioxidants because the antioxidants protect cancer cells from the radiation. Meaning if you want all over support for cells in a nuclear world antioxidants can help! So what herbs should you be taking? You might have heard about using potassium iodate before. That’s because it’s one of the most effective radiation poisoning treatments around. These pills are one of the only ones that’ll stop radiation poisoning in its tracks. The reason they work so well is they block one of the deadliest components of radiation poisoning, known as Radioactive Iodine 131. This form of iodine can do serious damage to your thyroid. 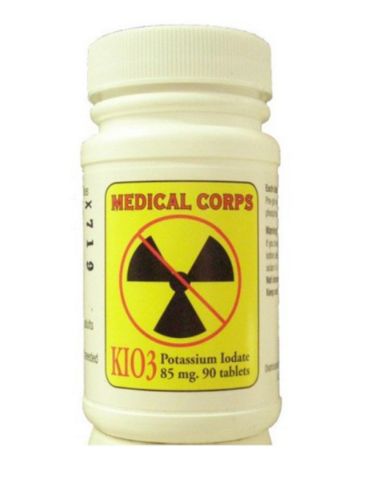 Taking Potassium Iodate (Ki03) helps saturate your thyroid with a beneficial form of iodine which prevents your body from absorbing radioactive iodine, thereby keeping you safe. Get your potassium iodate here! You’ve definitely seen radiation suits before. Those suits are specially designed to block all four of the dangerous rays (alpha, beta, gamma, x-ray) produced by a nuclear blast. Certain clothing is better than others at blocking that harmful radiation. In many cases light colored pants, long-sleeve t-shirts as well as garments protecting the head, face, and hands are enough to deflect alpha and beta waves. When it comes to the more penetrating gamma and x-rays it’s been well documented things like deodorant and even perfume or baby powder can block the rays. This is why women who get mammograms are advised against wearing these products before the procedure. So how does that help you? There are several ways you can use this information to increase your chances of surviving acute radiation poisoning. For instance you could take stick deodorant and rub it all over your clothes so you can move from one place to another while reducing your risk to exposure. You could also do the same thing and put it on a breathing mask (radiation can be inhaled) so you can protect your respiratory system. Ideally you’d want a full respirator mask or even tank oxygen. But if you don’t have access to those then some perfume, baby powder or deodorant on the outside of the mask is a good step to take in an emergency. If you think about it one of the first (and worst ) things to get contaminated is going to be your water supply. Irradiated water is going to be a big problem for people in a nuclear fallout zone…that’s why you’ve been warned about the dangers associated with fish sourced from Japanese waters. Water purifiers will help big time in situations like this. You’ll just want to ensure the purifier you’re using has activated charcoal in it to help trap the radioactive material. Don’t have access to a water purifier? Simple DIY distillation will remove almost all radioactive elements (except tritium) which will make it safe to drink. You can even filter water through household products like borax to filter the water through before distilling. Out of everything I listed above I would say the first thing to get is the Potassium Iodate. That’s because it’s got the strongest track record for keeping you safe from radiation poisoning, heck even the military is stocking up on it. If you’d like to get a bottle today then click here or on the image below. You’ll want to do it now because there’s no telling when something might happen. 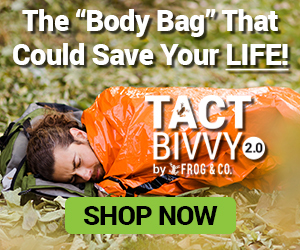 This entry was posted in Emergency Preparedness, Emergency Survival, Nuclear Survival, Prepping and tagged radiation, radiation poisoning, water purifiers on October 23, 2015 by Survival Frog. Excellent information I wasn’t aware of most of these but I will certainly stock up. Your informative blog is quite helpful. Thank you for taking the time to research and then post.